Let the Christmas cookie baking begin! 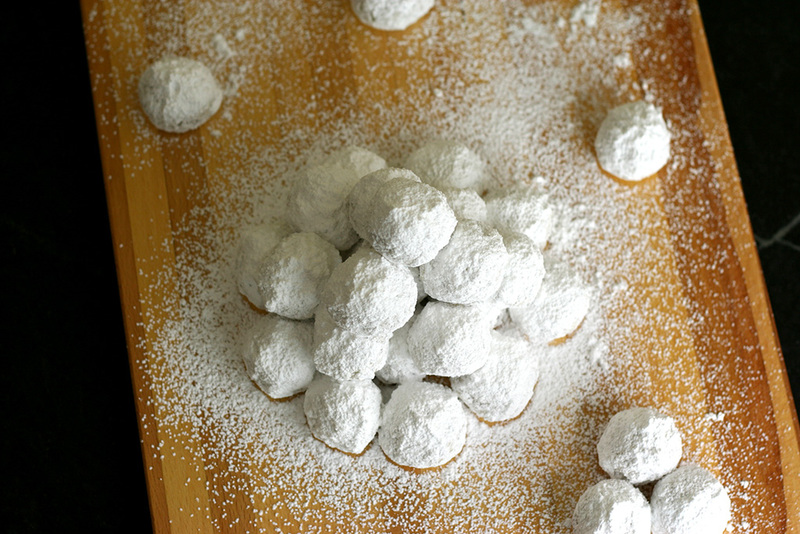 These buttery cookies have toasted pecans and are covered in powdered sugar. Yum! They are perfect for a cookie exchange or a gift this Christmas. Toast pecans in a dry pan over medium heat until they start to smell nutty. Let cool before chopping. In a medium sized bowl, stir together pecans, flour, and salt. 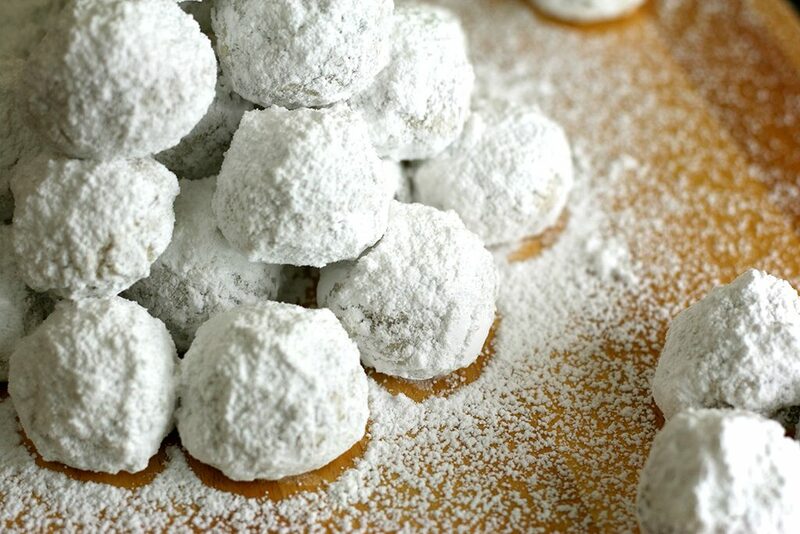 In a large bowl, cream together butter and powdered sugar with an electric mixer. Mix in vanilla. Add half of the flour mixture, mix to combine. Mix in the rest of the flour mixture until combined. Wrap dough in plastic wrap and refrigerate for 30 minutes. Make 1 inch balls with the dough. Bake for 15 minutes. They will be set on the top and lightly browned on the bottom. Let cool on the pan for 5 minutes. 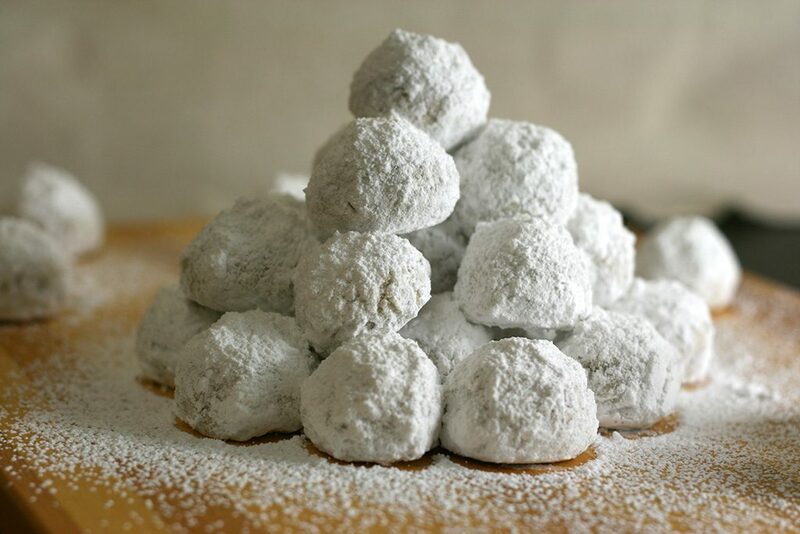 Coat with powdered sugar. Let cool completely and cover with powdered sugar again.